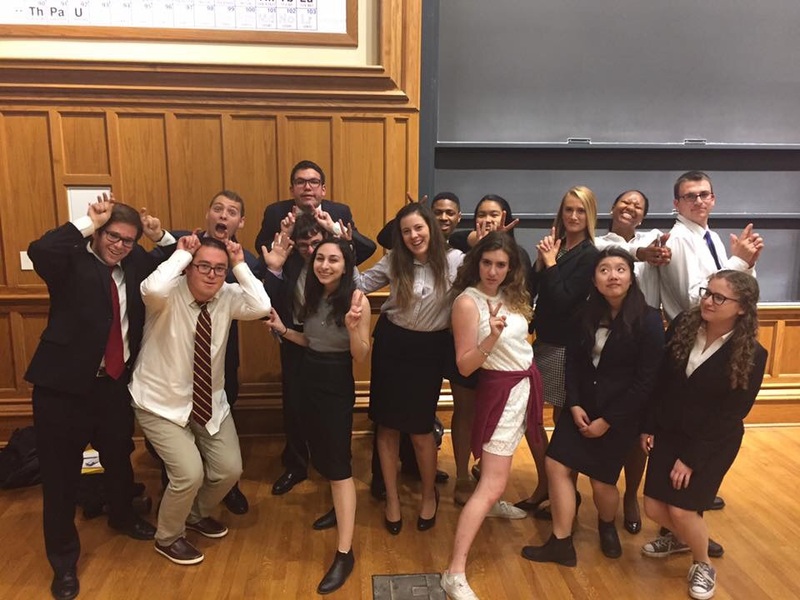 Welcome to the website of the Washington University Mock Trial team. In the past two years, WUMT won numerous individual awards (including an All-American attorney award and witness awards at some of the nation’s most prestigious tournaments), won three invitational tournaments, and placed in the top 10 at 14 tournaments, including a fifth place finish at Nationals. Do you want to be a part of the fun and success of WashU Mock Trial? Are you interested in being involved with one of WashU’s most successful competitive organizations? Explore the site to learn more about the team. If you’ve seen the site and are ready to join the team, head over to the recruitment section and join us! Want to see why you should join? Buzzfeed has 10 Reasons to Join WashU Mock Trial. Get more information by liking our page on Facebook or by following us on Twitter. © 2017 All Rights Reserved by Washington University Mock Trial.